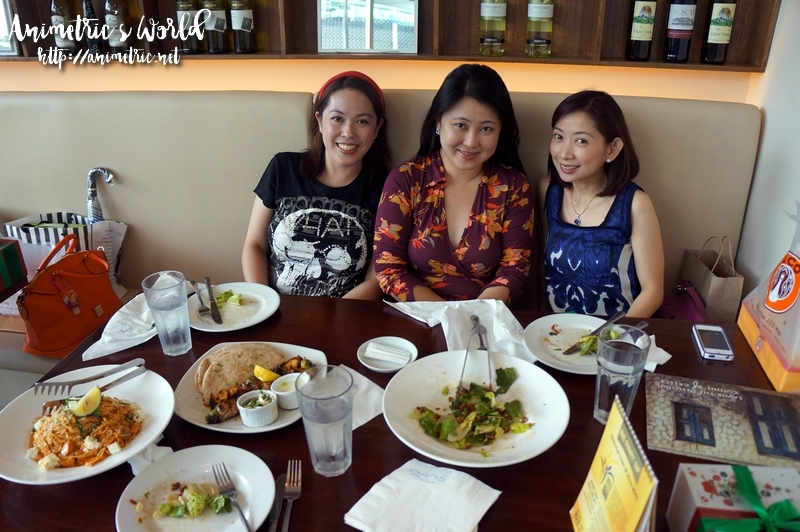 My high school girl friends and I had our annual mini Christmas get-together at the newly opened Cyma Restaurant in Robinsons Magnolia last week. I first blogged about Cyma back in 2009 and looking back I really dislike how that post turned out. It’s full of ugly photos which I used to think were acceptable, lol. It’s a wonder I didn’t drive readers away. Cyma Robinsons Magnolia is oddly shaped. It’s tucked in one corner of the mall so it’s sort of triangular. I like how their location lets them make full use of natural light. The restaurant comes across as very bright and airy as a result. I can never have a meal at Cyma without ordering my most favorite salad ever, Roka Salata (P495 To Share). It comes in three sizes (as do most of the dishes in Cyma): Solo, To Share, and Family. 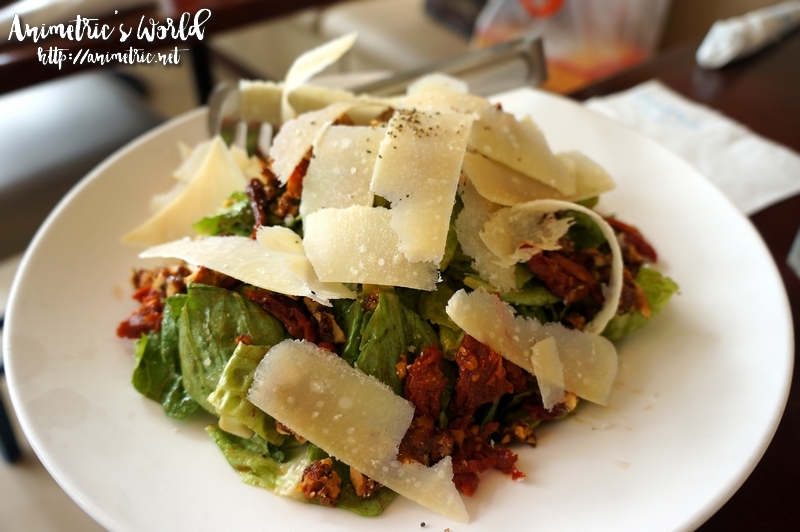 Roka Salata is comprised of chopped romaine lettuce, sundried tomatoes, candied walnuts, and shaved parmesan cheese. It’s drizzled with traditional Greek vinaigrette. For me this is the perfect salad. I love how it combines sweet, savory, and tart into a refreshingly delicious experience. It’s sooooo good. I think I’ve said it before but I can live on this every single day. I made sure to order my favorite Seafood Souvlaki (P400). Souvlaki is Greek Shish-Kabob. 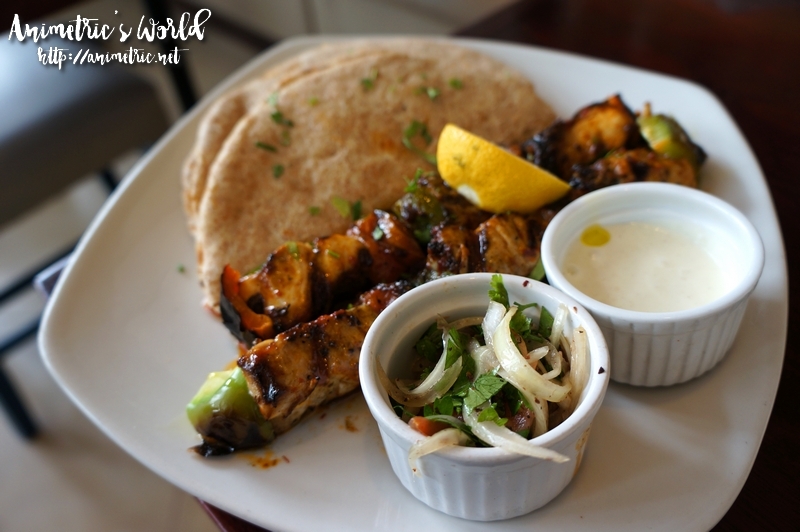 Cyma’s version is skewered mahi-mahi and fresh vegetables served with pita bread, a side salad of parsley, onions, and tomatoes, plus yogurt garlic sauce for dipping. I’ve been ordering this in tandem with Roka Salata for years now. I consider them my two most favorite dishes at Cyma. I love how the fish is grilled to a perfect succulent state… and that yogurt sauce is just to die for. 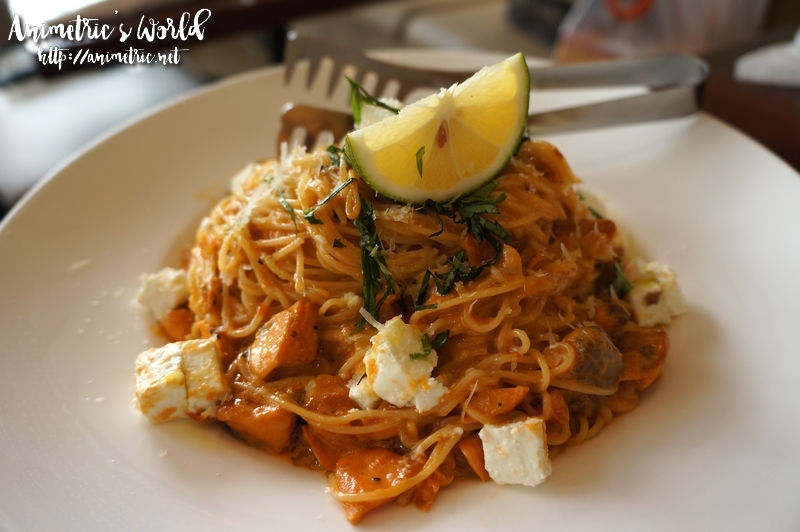 We also had Solomos Angel Hair Salmon Pasta (P650 To Share). It’s sauteed salmon with tomato, basil cream sauce, fresh lime juice, big chunks of feta cheese, and parmesan on top. OMG. It’s sooooo good. It’s on the rich and creamy side but wow, the fresh tomatoes and lime juice make it refreshing at the same time. I didn’t even think that was possible. 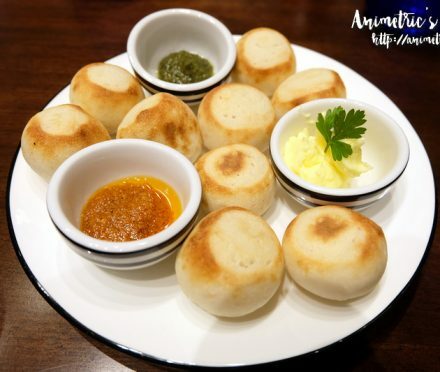 It’s the first time I’ve tried this dish but I love it too! I think I love everything at Cyma. Of course our meal would not be complete without dessert. We opted for the Glyka Sampler (P375). 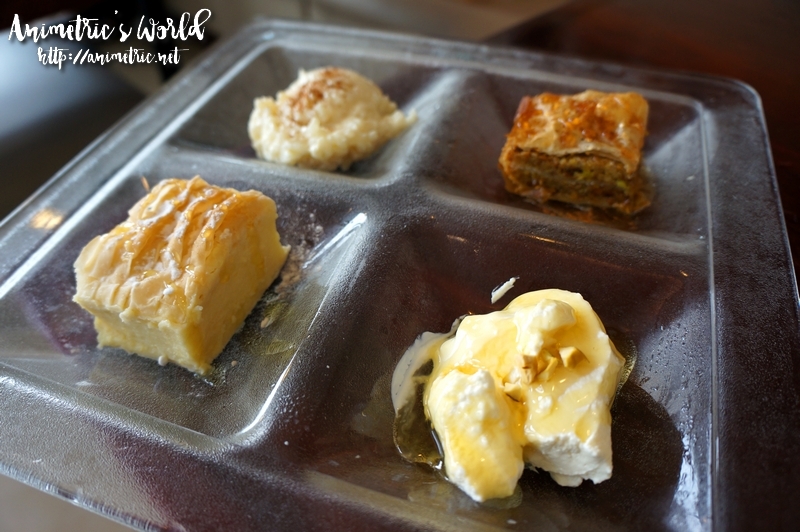 Four kinds of desserts in waistline-friendly sizes — Yaourti Me Meli (Greek Yogurt with Mountain Honey), Galakto Boureko (Creamy Semolina Custard in Phyllo with Orange and Lemon Zest Syrup), Baklava (Layered Phyllo with Walnuts and Orange Honey Syrup), and Ryzogalo (Traditional Creamy Rice Pudding). Everything is yummy but my fave is the yogurt even if it’s really super tart. I love how its tartness blends with the sweet honey. 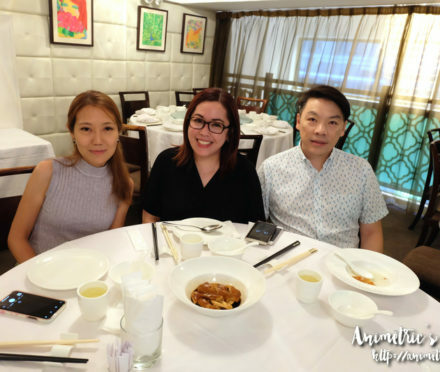 We don’t meet up too often but whenever we do, we really eat! Inglot Philippines opens in Glorietta 5!